It's Digi Friday again and Jenni's got two new releases over in the Digital Shoppe--the fabulous Magpie Collection and the Magpie Embellishment Kit. The Magpie Collection includes coordinating papers, labels, borders and journal cards that consist of soft tone-on-tone prints and bold graphic patterns. 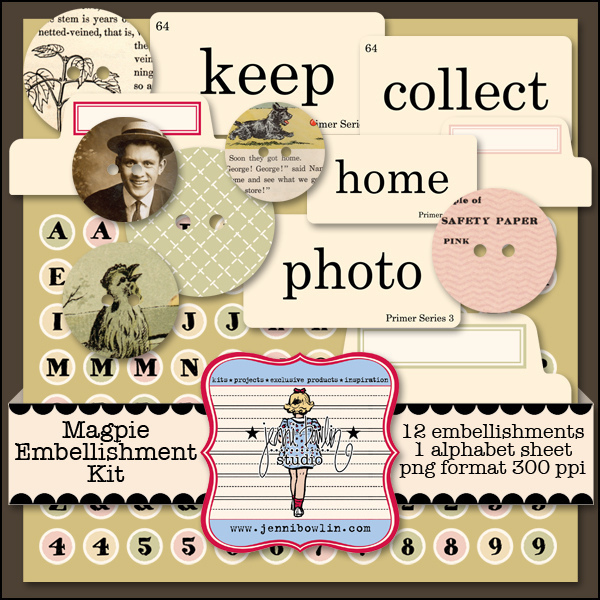 The Magpie Embellishment Kit includes buttons in coordinating patterns, index tabs and alphas in coordinating colors, and versatile flashcards. Amy Kingsford created a lovely layout about a little collection in her household. I just love the patterned paper she chose, which is just perfect for the theme. She added JBS-Vintage Bling to the layout for the sweetest little details. Amy also used the Clocks & Number Digital Cutting File to add clock images to enhance her theme. Supplies: JBS: Magpie Collection and Embellishment Kit, Clocks & Numbers Cut File, Vintage Bling; Amy Martin: Need More Stitching V. 5; One Little Bird: Page Kraft. 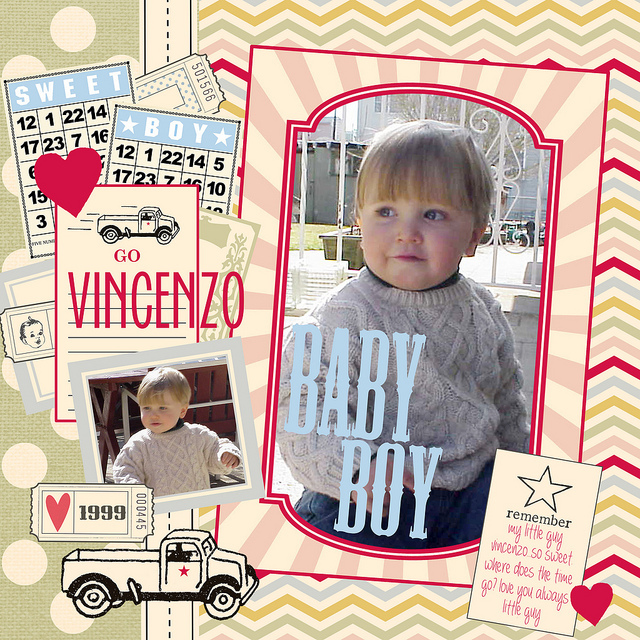 Chrissy Guido used a striking journaling card and label as frames for a layout about her son. Audrey Tan got artsy in a digital way! She blended two of the Magpie patterned papers together and played with digital paints to make her creative background. 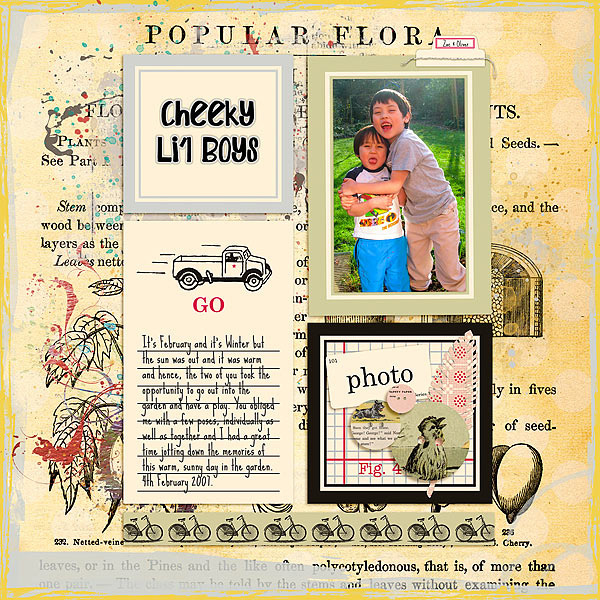 She then layered embellishments and labels on top to finish her layout. Thank you for your projects ladies! They are so inspiring and I can't wait to play with the kits this weekend!